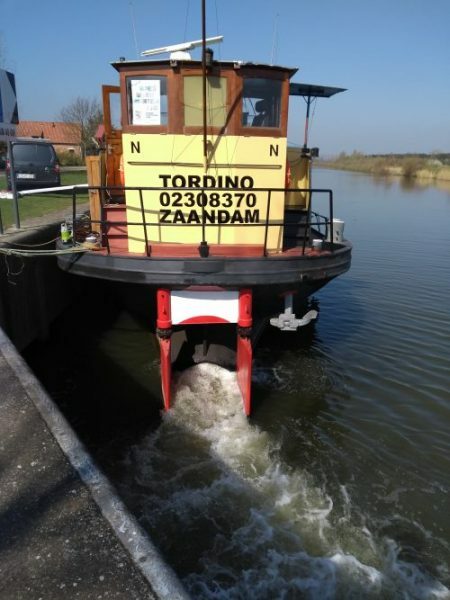 16th April 2019 – Thursday, I’m starting on Tordino, removing the old vanish from the wheelhouse, removing paint on the decks and on the anchor winch. I loaded my car with tools and paint. They were last used on the yard in November when the Watergeus was dry docked. 15th April 2019 – I had a quick look at the Arma. A team of several people are working on the ship, removing old paint. 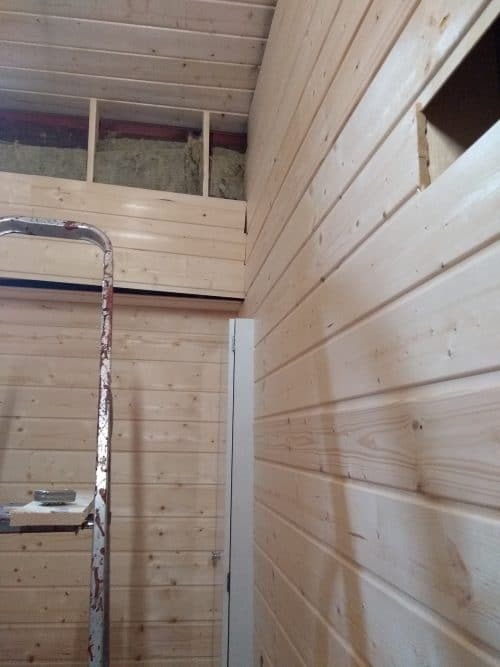 14th April 2019 – I wasn’t feeling right, but decided to build something. I had two cupboards that I needed to build. They will replace the metal supports. It looks more professional and I can add more content. It is the plan to finish this part of the hold at the end of the year when my budget will allow it. 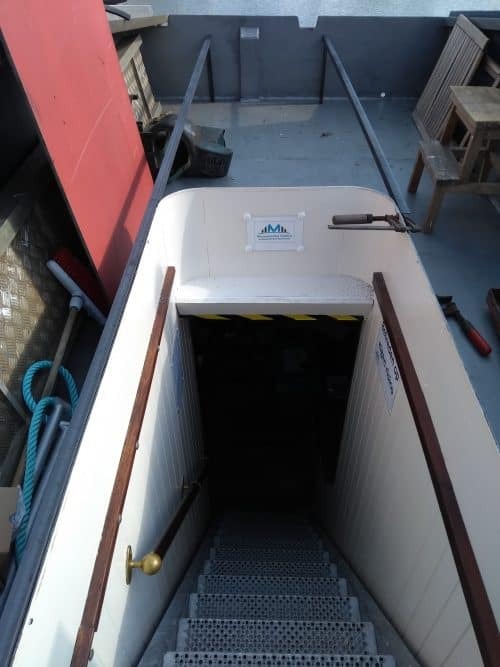 13th April 2019 – One of the main issues on my museum is the entrance. If it rains, I need to close the hatches. 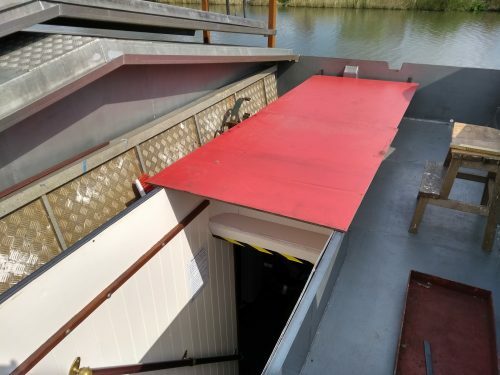 I want a sliding hatch on the entrance. With stuff I had and some metal I bought, I just started building something. It seems to work, but I need some more metal. To be continued…. 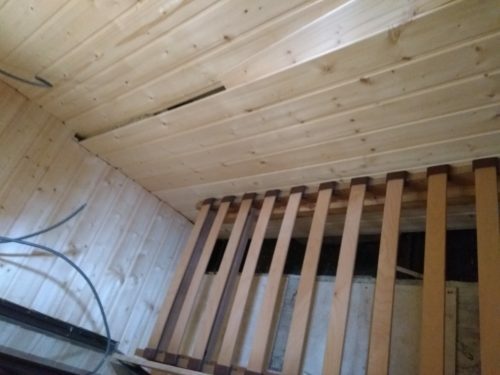 12th April 2019 – Somewhere last December I started building an extra bedroom in the Watergeus. A project I have discontinued for several reasons. Now It was time to continue. 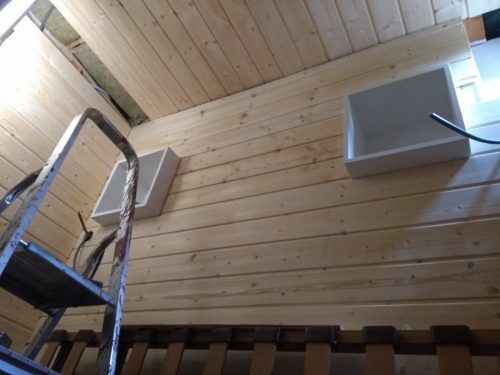 Earlier this week I finished one wall and now I’ve done most of the woodwork. 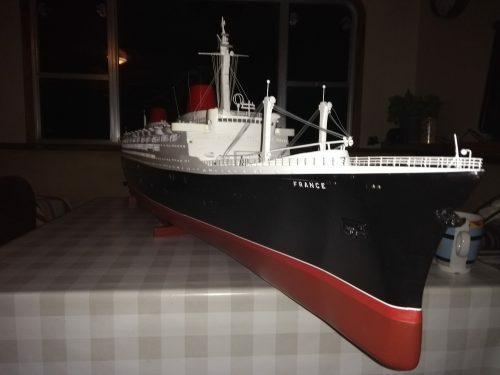 8th April 2019 – I found a good looking model of a steamship in Holland in the morning. In the evening I drove to Amsterdam to pick it up. A few hours of driving, but worth the trip. I need several type of models for the next exhibition on Sunday 28th April 2019. 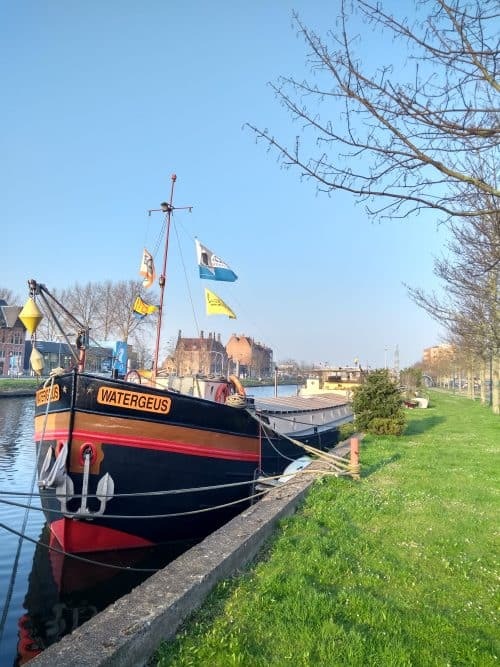 7th April 2019 – In the morning, I went to the Binnenvaartmuseum in Dordrecht. While I was in the area I went shopping with my mother. In a few second hand shops I found some nice stuff for my museum. 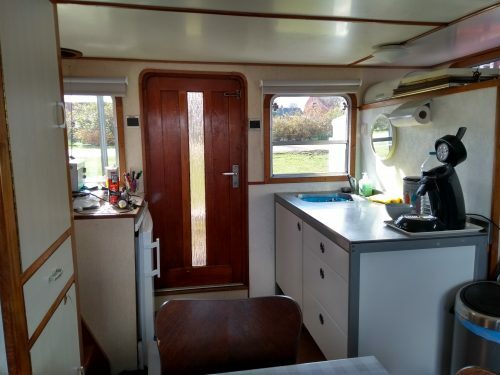 30th March 2019 – I started cleaning the little dingy. At lunch time, I had to stop since I wanted to go to Antwerp to the Open Scheepvaartdagen. 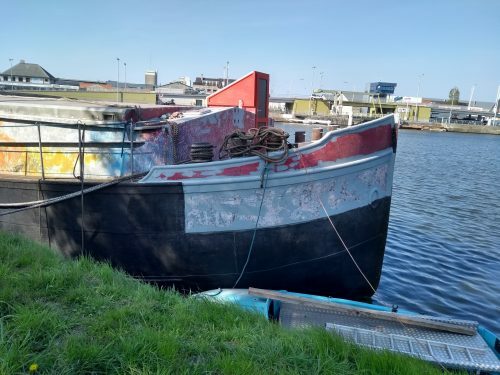 29th March 2019 – Most of the neighbours have a small boat for moving around in summertime. I used to have so many of those, but always gave them away or used them for painting my boat. 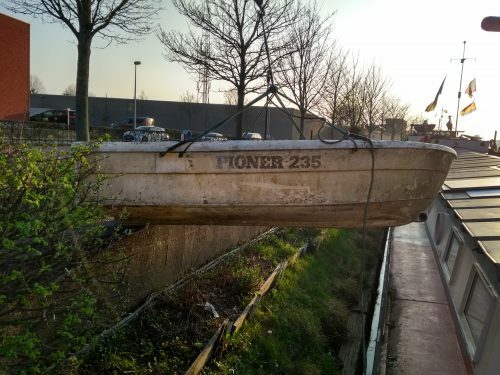 There was an old Pioner 235 boat left on the Arma. Green by mold and dirt, but in a good condition. 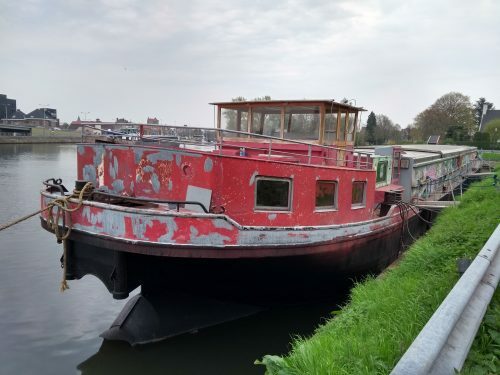 With three people we put it on the Watergeus, ready for cleaning and using this summer! 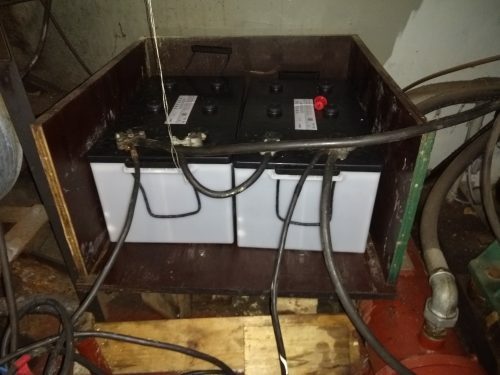 29th March 2019 – My neighbour James helped me installing the new batteries for Tordino. The engine started straight away! It hadn’t run since last September when we whelped moving the Tatro to the yard. 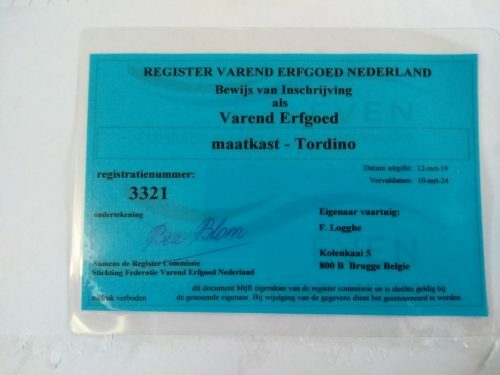 When I arrived home, I found the certificate of ‘Varend Erfgoed’ in my letterbox. Tordino is now official recognized as heritage! 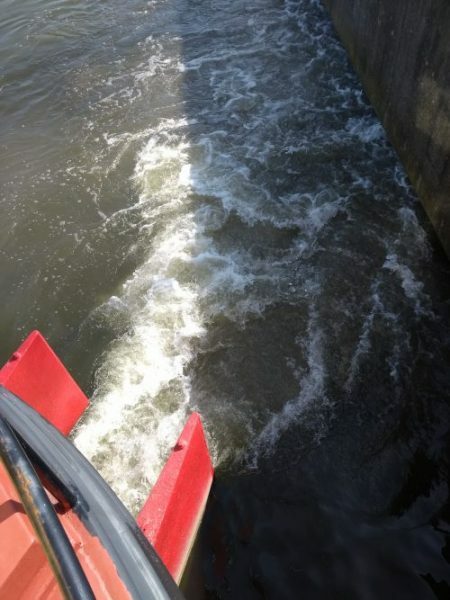 24th March 2019 – I was open during the weekend. 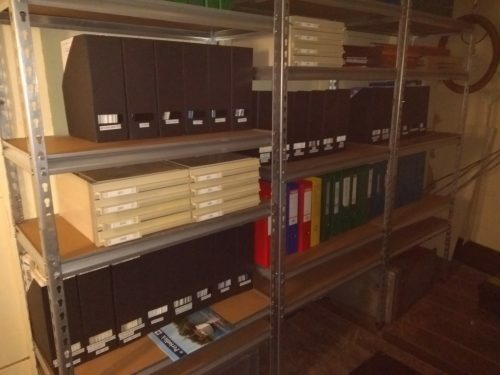 In between guiding visitors, I managed to finish most of the Archive Center. My tools are now gone and replaced by folders, documents and books. 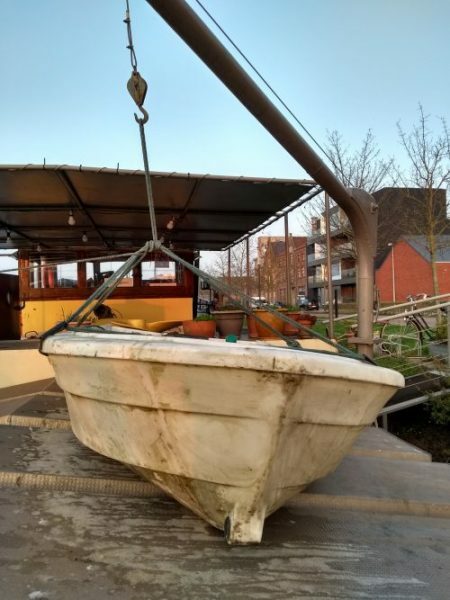 17th March 2019 – I did a small clean-up outside. Leaves, branches from trees and some rubbish, all of it was blown on deck. 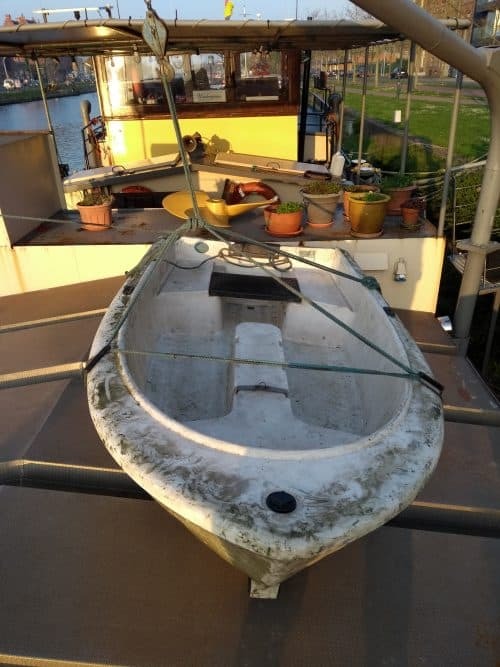 I raised the mast again and did some cleaning in the back accommodation. 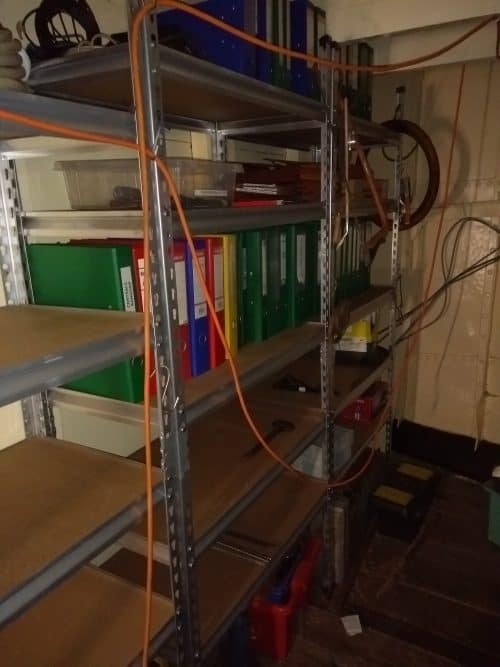 Later in the afternoon, I continued moving my tools to the back of the ship. 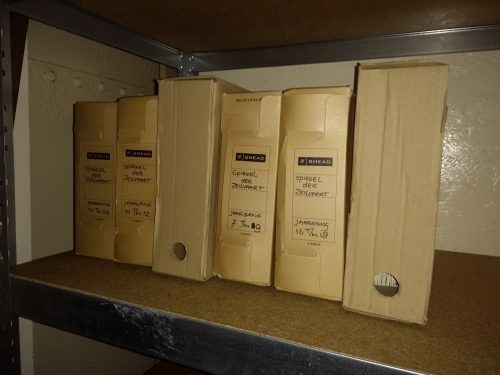 At least, the storage unit is becoming empty and ready to be converted in an archive room. 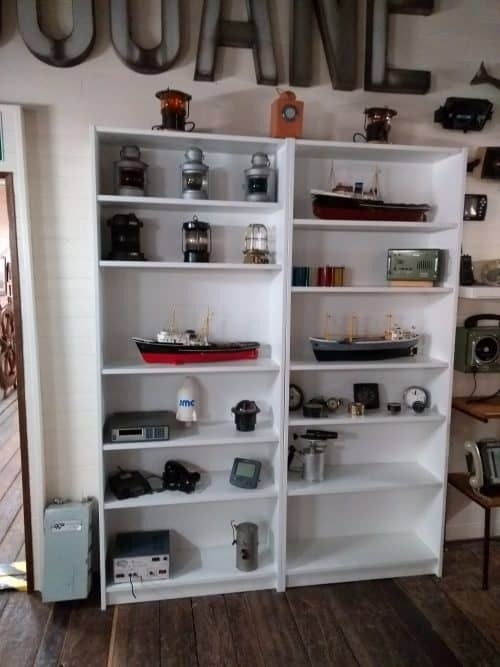 15th March 2019 – While it is still to windy to do anything outside, I continued sorting out books and documents on the Watergeus to move to the Archive and Documentation Centre of Museumschip Tordino. I found some old documents in a box. They came from the British trawler Ross Leopard. I spent most of the evening reading the books…. 10th March 2019 – A day to remember, at lunch time, my neighbours in Beernem called me. 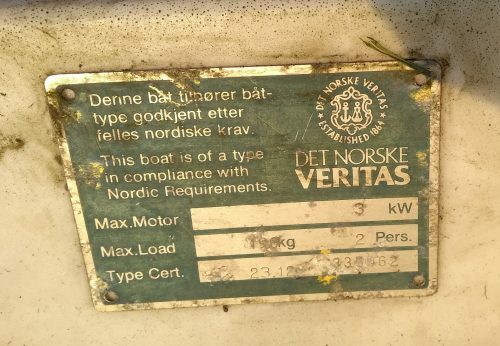 The boats were a bit loose because of the wind. 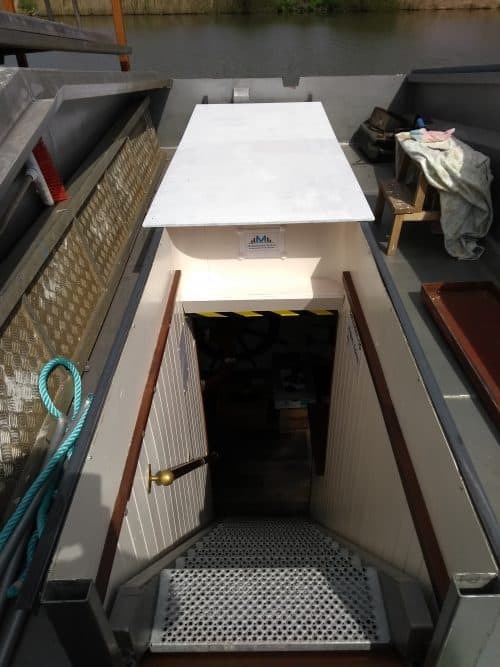 On arrival I noticed the wheelhouse of the first boat was gone including some hatches. In the evening when I was on the Watergeus, a few flower pots were gone, nothing special.